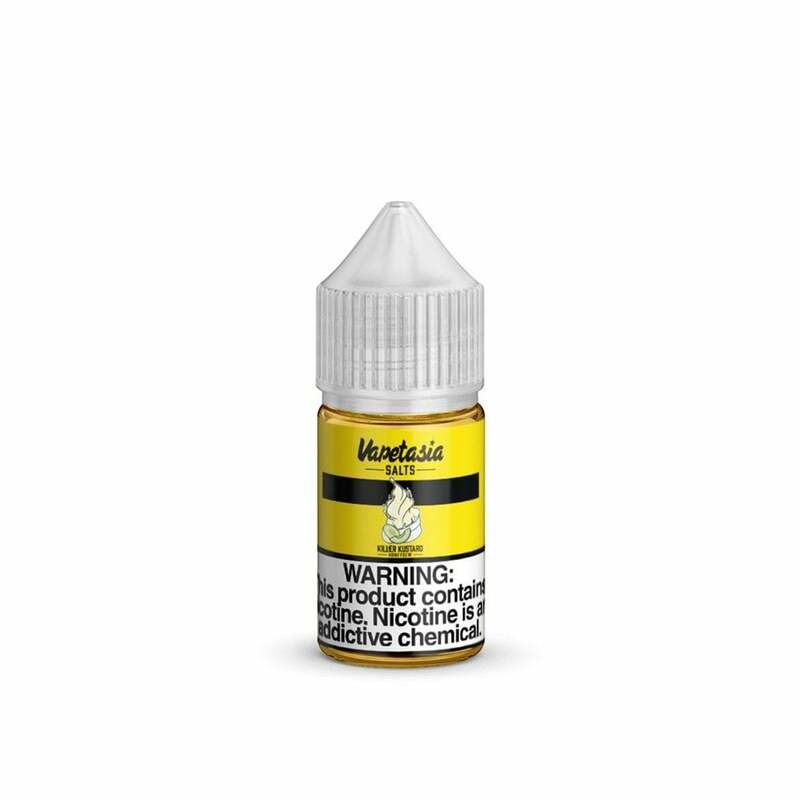 Killer Kustard Honeydew Nic Salt by Vapetaisa takes the renowned Killer Kustard flavor and blends it with the subtle sweetness of fresh honeydew in this sweet nic salt. Vanilla and honeydew will make your mouth water while Vapetasia's nic salt formula gives you an extra level of satisfaction with every pull. Bought a bottle of this on accident and couldn’t be happier. Sweet, refreshing, consistent creamy melon flavor and very satisfying as an all day salt. If you’re a fan of Vapetasia juices and or melon flavors, look no further.